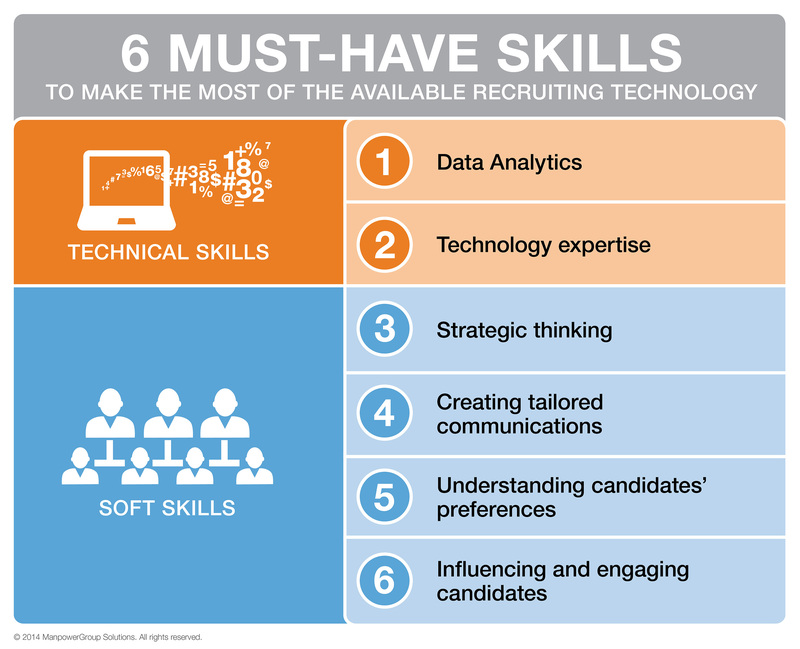 6 high-tech and high-touch skills, defined by ManpowerGroup Solutions, that enable recruiters to maximize available technology and win the war for talent. From manual procedures to automation. Has the evolution of the recruitment processes led to decreased personalized recruiting? @MPGrpSolutions answers. Technology is an enabler: blend it with high-touch human recruiting to create positive candidate experiences and attract the right talent, recommends @MPGrpSolutions. 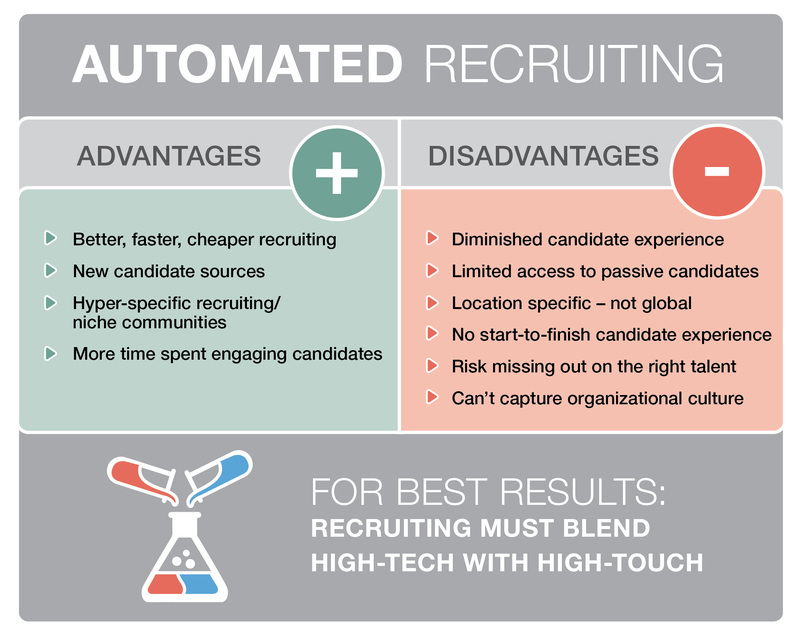 Talent is slipping through the cracks of automated recruiting, warns @MPGrpSolutions in the latest report on the importance of high-touch when attracting candidates. 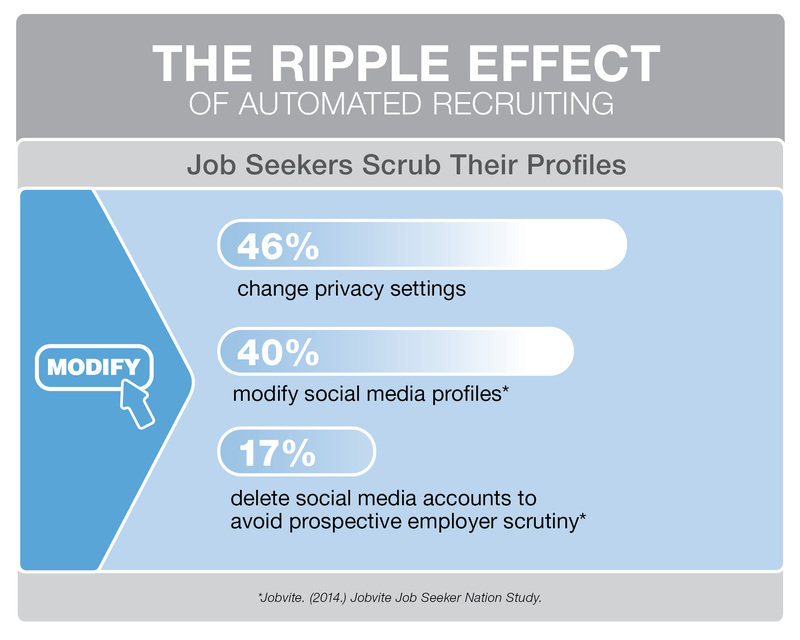 Job seekers play hide and seek with automated recruiting and scrub their profiles clean. High-touch recruiting helps identify candidates with the right cultural fit. MILWAUKEE (3 DECEMBER 2014) / PR Newswire / — ManpowerGroup Solutions Recruitment Process Outsourcing (RPO), the global leader in the industry within ManpowerGroup (NYSE: MAN), asserts that recruiters must have a broad set of hard and soft skills to attract the right talent and enable organizations to maintain a competitive advantage. 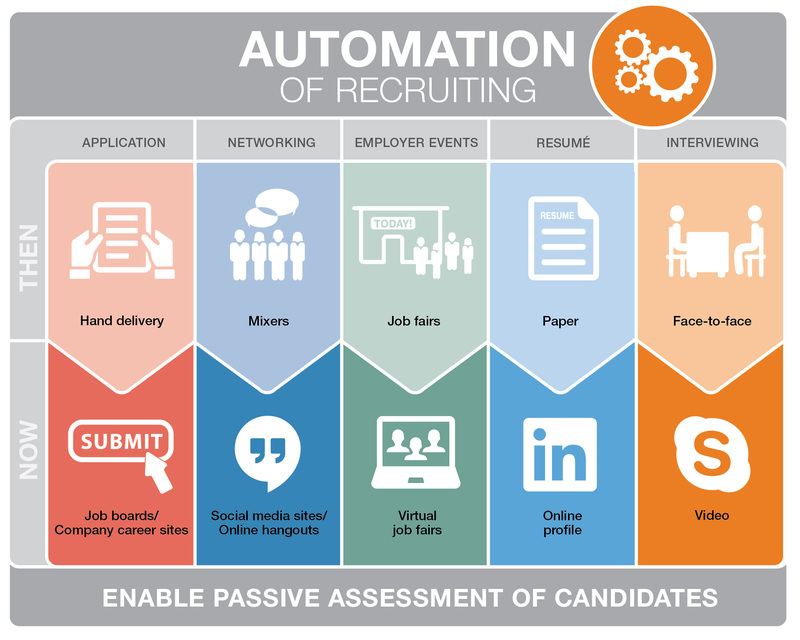 Automated Recruiting and the Human Factor, a new insights paper released today, explains that as technology has transformed recruiting from manual procedures of yesteryear to the automated systems of today, it has raised the bar on the type of skills recruiters need to be effective in the race to secure the best talent. 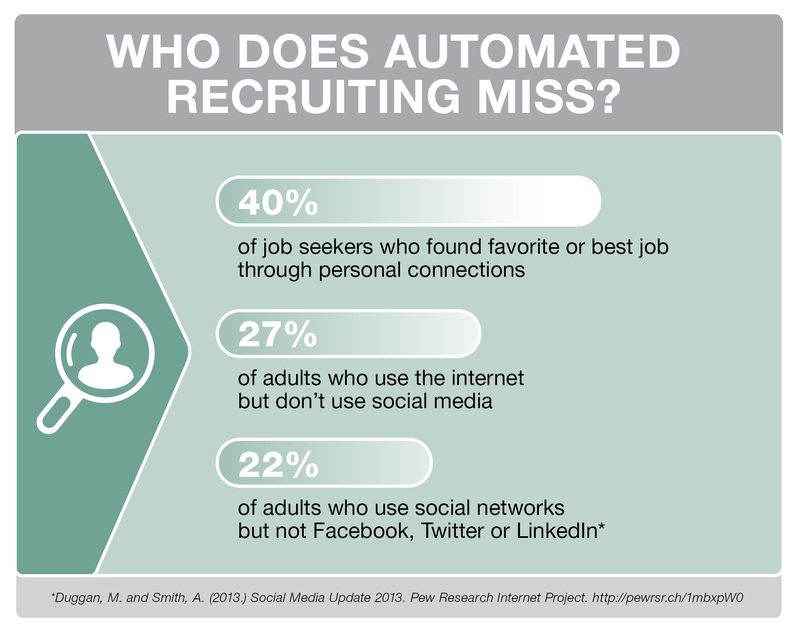 Despite its undeniable advantages, automated recruiting has become an equalizer as most recruiters have access to a similar variety of tools. Since they can now access talent faster and more efficiently, they have more time to engage with candidates. This is when recruiters’ soft skills become essential as they can “make or break” relationships with job seekers. @KateMDonovan advice in the latest @MPGrpSolutions report: to attract the right talent employers must blend high-tech with high-touch recruiting. As the war for talent continues, sophisticated skill sets are needed to make the most of the available recruiting technology. 9 in 10 employers screen candidates’ social media profiles and base hiring decisions on their findings, reveals @MPGrpSolutions.